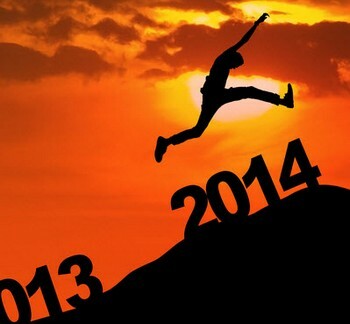 The year 2013 is coming to an end but a new chapter in life is set to begin when 2014 arrives in less than a week. Last year, I believed that this year would be a year of change and I was right. It was filled with many changes that often left me reeling from the sudden extreme highs and lows. However, I kept marching forward and as the new year approaches, it made me think of the things that have happened in 2013 and what I would want to happen in 2014. These may sound like personalized new year’s resolutions but I’m sure that a lot of you also have the same sentiments. Savings is something that I have always struggled with. I admit that I am sometimes a bit of a shopaholic but I swear I am not an out-of-control one who goes berserk at the thought of zero retail therapy. But yes, I often get tempted to buy quirky little things that end up gathering dust at the back of my closet. Bookstores are also bad for me as I end up buying one or two to add to my ever growing–and hard to finish–reading list. Sales are even worst as one book buying binge once resulted into 5 new books. Next year, I have resolved to do less shopping and go more for my needs rather wants. I’ve already got in touch with a good friend, who works as a trader and she gave me great advice on how to save and invest money. Here’s to hoping 2014 will be a more financially stable year for me. Every time I travel, it feeds my wanderlust and makes me want to travel even more. Although it may sound like it would contradict my plans for saving and investing money, I believe they are complementary. If I invest money, it means that I would have the funds that would enable me to travel more. Also, if you are a budget traveler, you will know how to enjoy each journey while spending the least amount of money. I don’t think that I will be able to give up travel but I will cut back on my trips if it will help me to save money for investments. Then I can make up for lost time the following year and go on more trips, which will help me recharge and gain more experiences about life. When going on a trip however, it is always wise to bring travel insurance as one unexpected emergency can easily drain your savings. People can stay within budget while traveling if they avail of affordable plans from insurance companies such as Seven Corners and prepare for any contingency. My mom once called me Slowpoke Rodriguez–which is the opposite of Speedy Gonzales, the fastest mouse in Mexico–because I was slow to change. I have always been a very cautious person and although I would welcome change for a breath of air, sometimes too many changes all at once can overwhelm me and make me want to run away. In my previous company, I stayed for a long time because at that time I was afraid of the changes that new work might bring in. But once I transferred, I realized that I had nothing to fear and because of that I am now more willing to take risks when it comes to career change. One of the things that is on my bucket list is to try working in another country. I don’t know exactly when that will be happening, only that I am keeping my options open and willing to embrace the possibilities. Based in San Diego California, Tiffany Matthews is a professional writer with over 5 years of writing experience. She also blogs about travel, fashion, and anything under the sun at wordbaristas.com, a group blog that she shares with her good friends. In her free time, she likes to travel, read books, and watch movies.